feeling of total well-being. If you haven’t tried it before, come and give it a go! 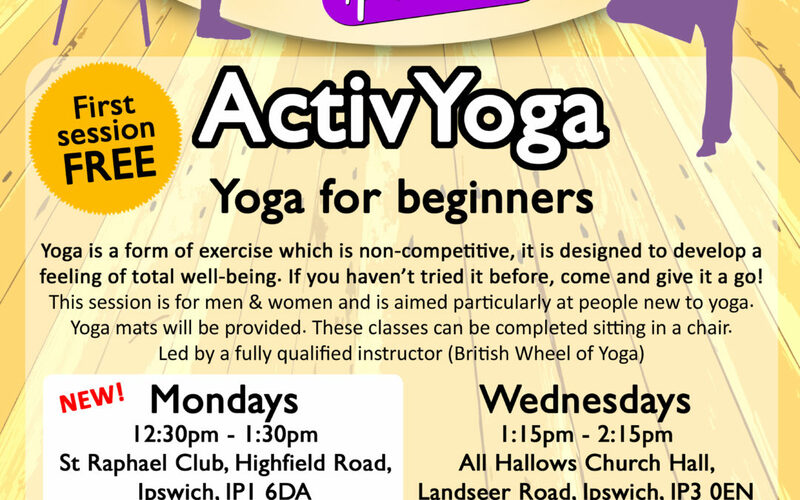 This session is for men & women and is aimed particularly at people new to yoga. Yoga mats will be provided. These classes can be completed sitting in a chair. Spaces are limited, so please book to reserve your place. £5.50 per session. Refreshments will be provided after the session.